Mount Kilimanjaro — Just Kilimanjaro (T) Ltd.
Mount Kilimanjaro, a towering figure in all of the African continent, lies just 3 degrees south of the Equator in Tanzania. This magnificent volcano is the highest 'freestanding' mountain in the world and is listed on UNESCO's World Heritage sights. It's snowy peak has lured westerners for many a century. Today, more than 25,000 climbers attempt to climb to Uhuru Peak, it's highest point. What is really interesting about Kilimanjaro is that it can be climbed by anyone with a reasonable level of fitness and no technical skills required. You will need to be prepared mentally. You will need proper equipment, a good guide and good old-fashion grit to succeed on Kili. There are 6 ascending routes through the forest (Machame, Marangu, Umbwe, Rongai, Londorosi and Lemosho), 3 approach routes to the crater and 1 descending only route. We recommend a minimum of 6 days on most of these routes and allow more days for the longer routes. Marangu is the only route where climbers sleep in huts. All others are camping routes. Park rangers are stationed at all rest stops and are equipped to carry out any evacuation if needed. 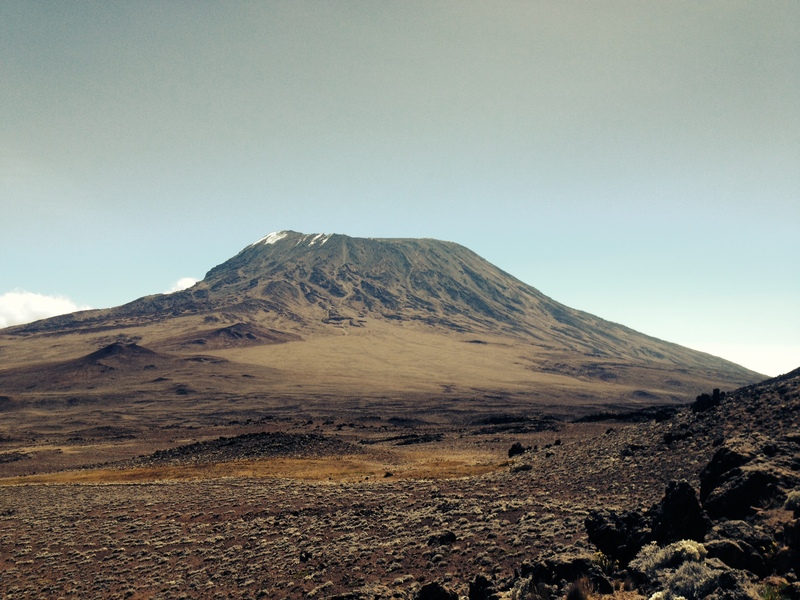 You can climb Kili all year around but best times are late June - October and December - March. November and April - June are rainy seasons and chances are that you will miss out on all that beautiful scenery around you. For those who prefer peace however, the rainy season's got your name on it! To the locals, Kilimanjaro means life. It is a source of food, water, inspiration and income to hundreds of thousands of people living around it. It is truly a privilege to be born and raised around this mountain but to also get to work and make a living on it is a huge blessing. Day or overnight hikes on the Shira plateau and through the Marangu side. Nature trails on the lower reaches.